A generation ago, some of my first published pieces appeared in the pages of my university run magazine called the Linguistics Society Journal. The journal’s adviser was also one of my English Lit mentors and he pulled some strings to get my work into the pages of the thin, wonky publication that mostly featured stories on comma use and symbolism. I was a terrible writer, ergo the pulling of strings to get me in. I still have a lot to learn, but at least now I understand my failings. Back then, let’s just say I was handicapped by my youth. But one submission to that magazine changed the way I see writing, as well as the way I would forever write. After waiting a couple weeks, knowing one of my articles had been accepted, I excitedly rushed to the metal bin in the student union to get a copy only to discover that my piece — my precious, delicate words — had been changed. My professor had re-written great chunks of the story, making it, well, obviously much, much better. But I didn’t see that then. I only saw that my footprint had been altered, and I was mad. Gathering up all the righteous indignation a wounded college student could muster, I stormed into his office and demanded an explanation. How could he do this? How could he make MY story something else, something not mine? We may write in solitary conditions. We may purge our souls alone at the keyboard. We may, as Hemingway quipped, sit down at the typewriter and bleed. But to be better, to succeed, to create something worth a damn, you better find your George Martin and find him fast. I was lucky. In my youth at the very trailhead of my writing path, I found a mentor whose primary edict was that any art — poetry, writing, photography, painting — was a collaboration between the artist and the editor/spouse/publisher/culture/curator/beta-reader/lover, etc. Maybe all of them. Art, like life, works better if we work together. Find an editor who understands your brain. Find a publisher to help you realize your vision. Find readers you trust and love and who won’t only tell you how great you are. In fact, it’s probably better to find allies who tell you when something stinks. I’ve been with my editor for ten years. She is blunt, unwilling to put up with any of my drama-queen nonsense, and sometimes leaves me breathless with notes and suggestions for changes. But she gets me. I trust her. And it’s not just me anymore, maybe it never was. And it’s not just you either. Finally, and I can’t emphasize this enough, when you do find an editor or a reader who gets you, who loves your words and your voice and can make you better and stronger; when you do find your George Martin, just calm down and listen. Dan Szczesny has made a living from his pen and keyboard for two decades. He currently lives in New Hampshire, where he’s written three books. 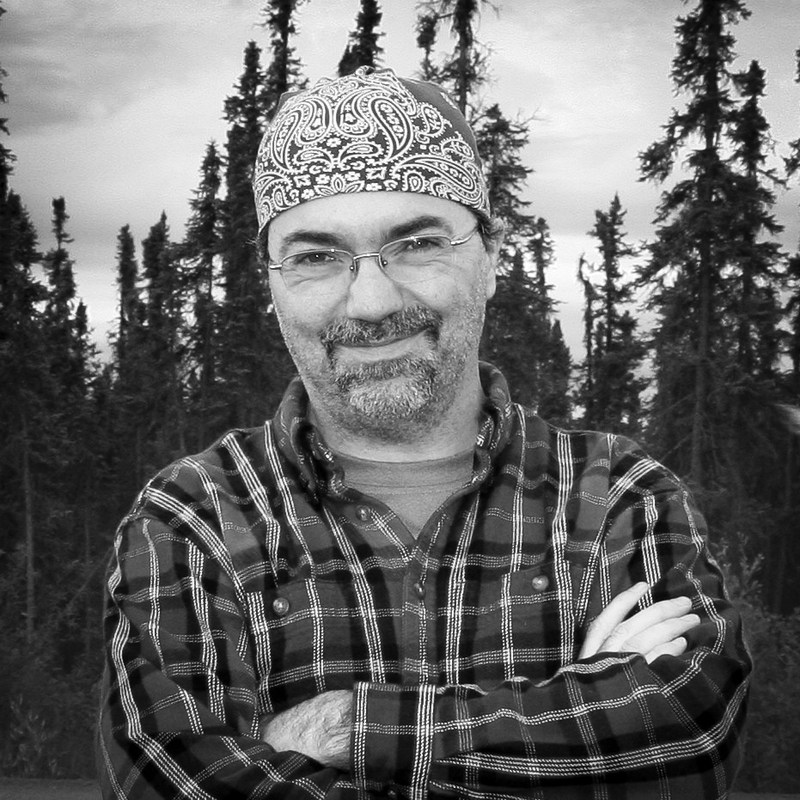 His fourth title, Mosquito Rain: Alaskan Travel Essays, will be published in June by Folded Word.